In the 1700s it was customary to place a pineapple on your front porch as a way of letting friends and neighbors know you were welcoming guests – we hope you’ll always feel welcome at Pineapple Hill. 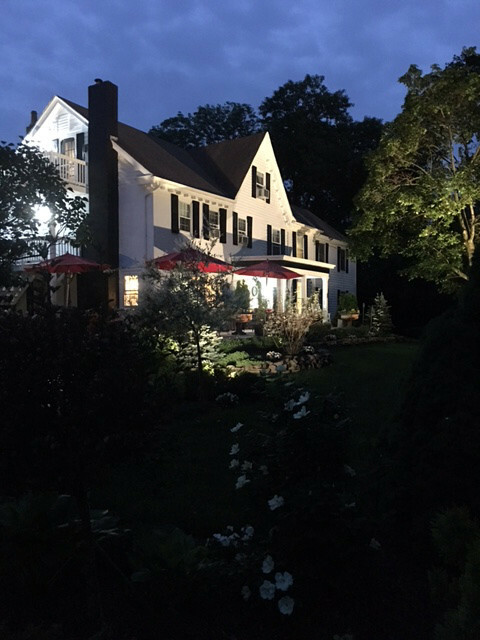 This wonderful five plus acre Inn was once part of an original hundred acre farm set in the heart of Bucks County. The eighteen inch thick walls and wide plank pumpkin pine floors exemplify the craftsmanship of a by-gone era. The stone foundation of the original barn from 1790, is now the surround for the beautiful in-ground pool. 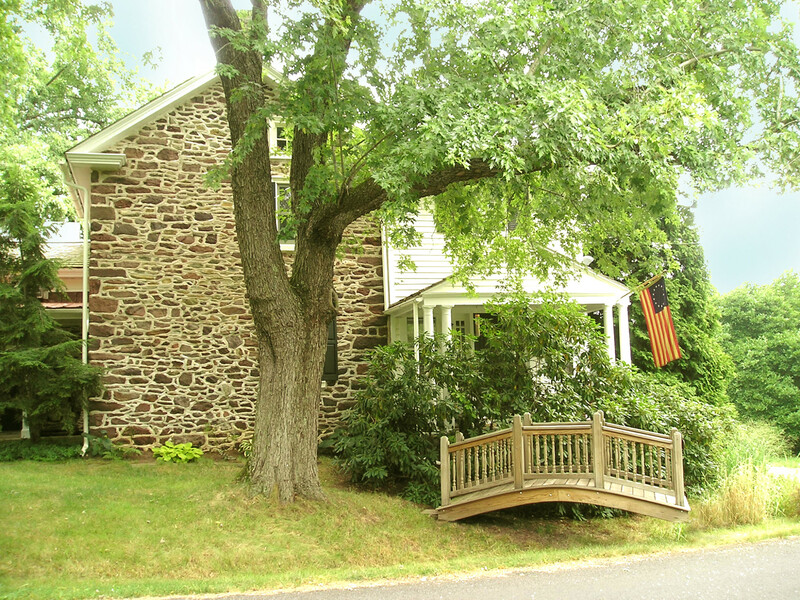 Other stone ruins also exist on the property, the milking station, the summer kitchen and spring house. Presently the foundation of the summer kitchen is being used for a relaxing gazebo with sitting area. The plan for the spring house foundation is a raised vegetable garden to enhance our breakfast menu with farm to table. The milking station will soon become a raised covered deck area off the pool for those that enjoy some shade to relax in. 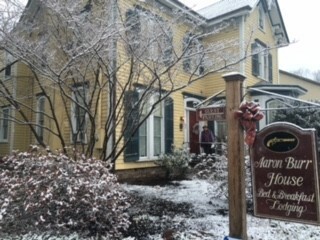 The Pineapple Hill Inn has been a functioning B&B since 1984 with many transformations since that time, which included a large addition that presently houses the Baltimore Oriole Suite, the Sandpiper and the Meadowlark. The grounds have also been completely landscaped with many beautiful perennial beds and a lovely Koi pond with water falls. Two decks have been added, one large wrap around in the front for lounging or enjoying your morning coffee and breakfast as well as a private deck off the back of the Baltimore Oriole. As new owners since March of 2013, we hope we can continually bring change and enhancement to what is already a wonderful place to stay. Each of the rooms is individually decorated and furnished with period antiques, family collectibles and artwork. The rooms although quaint still offer all of today’s amenities. Pineapple Hill has 9 guest accommodations, 3 suites and 6 rooms all with their own private baths and 8 with gas fireplaces. The rooms also feature cable TV, Air conditioning and Free WiFi. The private baths are enhanced with plush white towels, Gilchrist and Soames bath products, blow dryers and pool towels for your summer comfort.